Local and Long Distance Moves, Boxes and Storage, Free Estimates, We do it All! 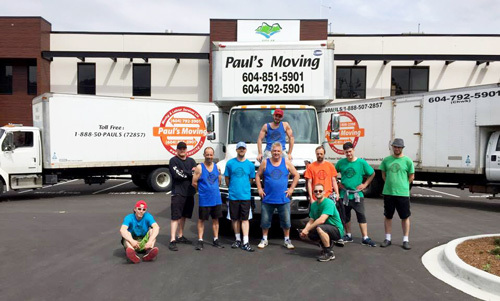 As a local, family owned and operated moving company in The Fraser Valley, Paul’s Moving and Labour Service is dedicated to helping you pack, move and store your belongings. 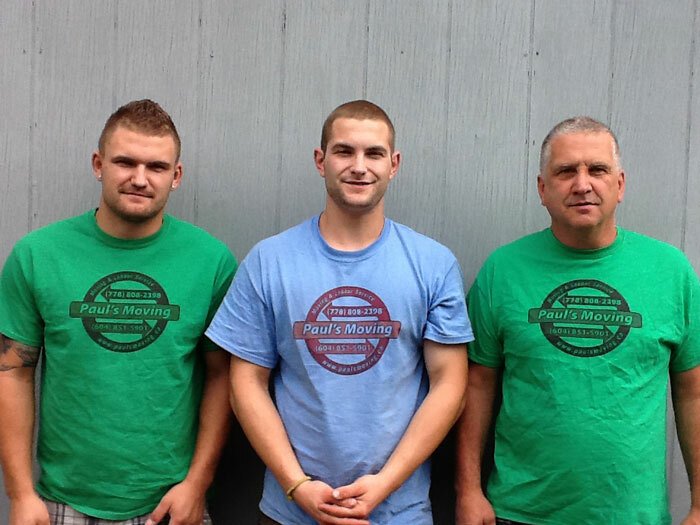 Our hard working crews are here to help make your move an easy and stress free experience. You Call, We Haul, You Save! Looking For A Great Moving Experience? 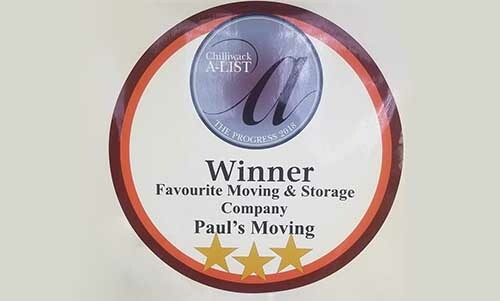 Since 2006, Paul’s Moving and Labour Services has been your number one source for professional movers at a great price. Our Chilliwack, BC, Mission, BC and Abbotsford, BC locations proudly serve the entire Fraser Valley, Vancouver, Vancouver Island and all surrounding areas. We also do moves to and from the Interior BC and gladly provide a full in home estimate on ANY long distance move. We take pride in every move and make it a point to serve each client with the same high level of integrity that we’ve become known for since our inception. Our movers are all trained to wrap, pack, and handle all your belongings with the utmost of care. Entrust even your most prized possessions to us and they’ll make it from point A to point B intact and undisturbed. We’re here to ensure that your move– whether it’s across the street, across town, or across the province– is one that is stress free and easy. 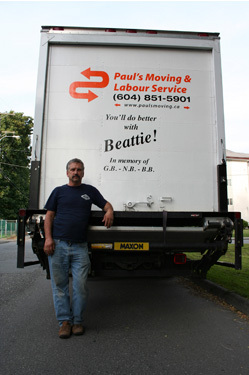 Paul’s Moving and Labour Services is more than just an experienced moving company. We’re also happy to showcase our expert packing and Labour Services. We do packs and moves to and from storage facilities and we’ll even assist in moving heavy furniture in and around your home. We’re here to help customers streamline ALL their Moving and Labour needs. We sell Bed Bags, Tape, Packing Paper, and sell or rent Boxes, Wardrobe Boxes, Picture Boxes, Dish Boxes and any other necessary moving supplies you may need. Above all we could even arrange to come out and pack your entire home for you. Included in our moving service are the use of 2 Wardrobe Boxes*, including all the necessary pads, tape, shrink wrap, and other tools or materials required, to help wrap and prepare all your furniture on moving day as a part of our service! At no extra charge!  BBB has determined that Paul’s Moving and Labour Services Ltd. meets BBB accreditation standards, which include a commitment to make a good faith effort to resolve any consumer complaints..
Our business is fully licensed and insured for your peace of mind. 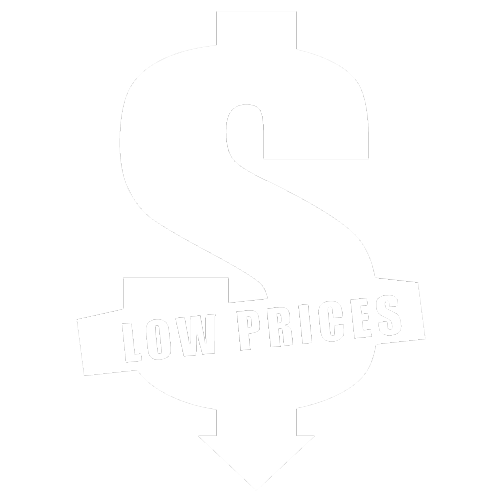 Our prices are competitive and affordable. We specialize in Piano Moving and can help you transport delicate and oversized items. We can move and relocate Safes, Kitchen Equipment and other heavy items. We are Licensed, and Insured to protect your goods during the relocation process. We’re a Local, Family Owned and Operated Business that values trust and customer satisfaction. We happily offer all our services to Residential Homeowners, Commercial Delivery Contracts, and Small Business Owners. Contact us today! We look forward to brokering a deal with you! 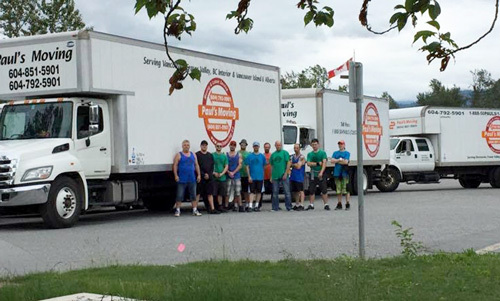 "Our move was the best experience because of the 3 men who helped us that day. Greg, James and Nick were a pleasure to be with. They couldn't..."
"We hired them to facilitate our move from Mission to Chilliwack and have only great things to say regarding their professionalism & customer..."
"We have used Paul's moving on 3 occasions, they did a tremendous job each time.. Would recommend them anytime"
"Paul's Moving helped us move Dad to Independent Living from his apartment. They were on time, super efficient, courteous and finished in 3...."
"Paul's Moving recently helped us move Dad into Independent Living. They did a fantastic job! They confirmed the day before, arrived a bit ea..."